The end of the year always brings reflection of the year past. 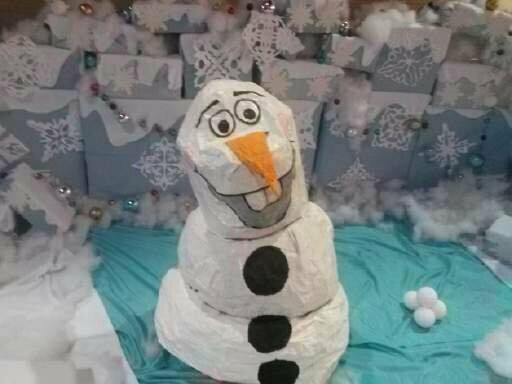 2014 was the year of Frozen, and on my blog was no exception. When going through my stats to find my top posts of the year, I was a bit surprised with what I found.. See if you notice what I mean. 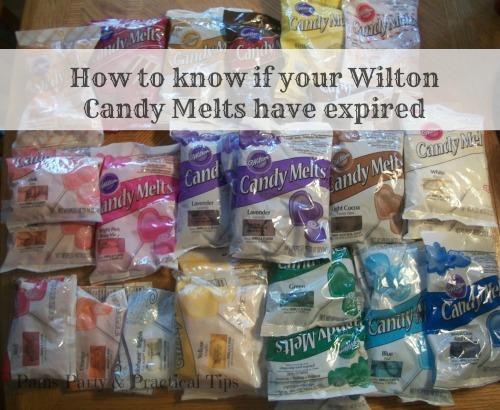 Have your Wilton Candy Melts expired? We are now to number 1. Any guesses?? 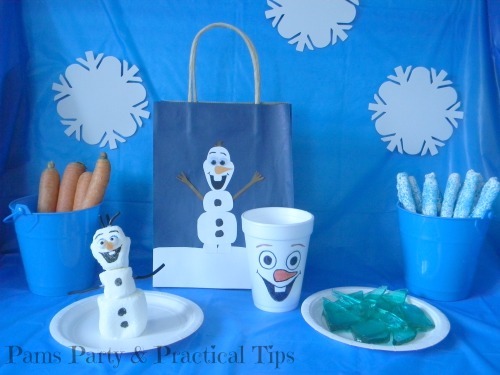 Elsa's Ice Candy was by far the most popular post on my blog this year. In fact, it is the number one most viewed post of my entire blog. 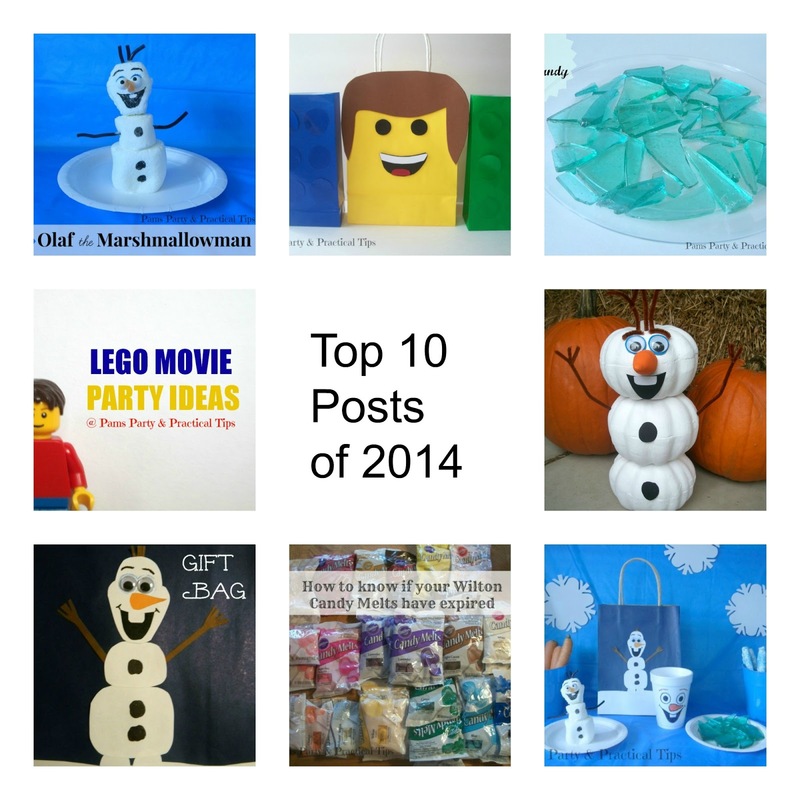 2014 was definitely the year of Frozen, as every one of my Frozen Party posts made the top 10. 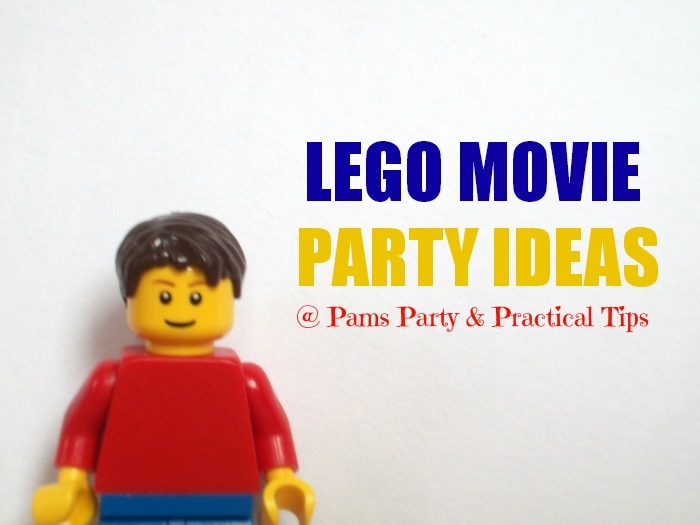 My Lego Movie posts were pretty popular too, so I am happy that a sequel is in the works. While my Despicable Me posts are still doing quite well, I did not count them in this countdown since they were from 2013. It makes me very excited though, that with the new Minions movie coming up next summer, many of those posts will be even more popular in the new year. Was your favorite post in the top 10? Here is to 2015, and many more fun party posts to come! It's hard for me to believe that tomorrow is New Year's Eve. This entire year has been a blur. When I was a kid, I used to think grown up were exaggerating when they said time goes very fast. I know now, they were not kidding. I have to admit, we rarely attend a party on New Year's Eve. It is normally a quiet night at home with the family. We set out some food, watch the ball drop, and toast the new year with some sparkling juice. 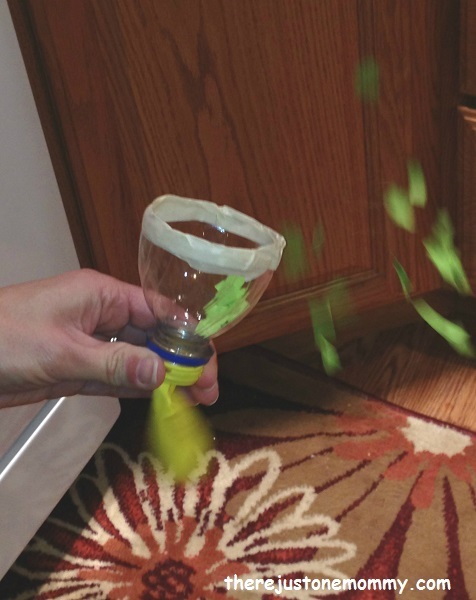 This year we might celebrate by making homemade Confetti Poppers like There's Just One Mommy. 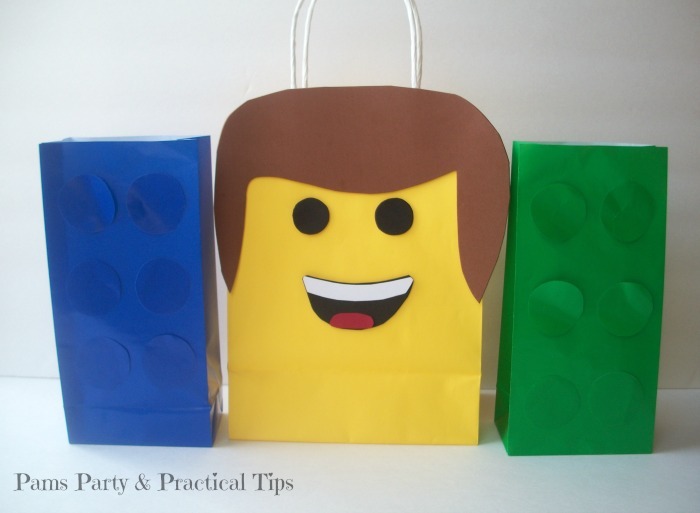 You only need a few items, that you probably already have at home.They would definitely be a lot of fun for kids to make and pop. Thank you so much OneMommy for linking up this great idea to Dare to Share! Welcome to the post Christmas edition of Dare to Share! Did you have a nice holiday? I did not get everything done before Christmas, so over the next week we will enjoy things at a more leisurely pace, such as making the gingerbread houses, and candy. Here are some of the things I did get done. The Super Simple Candy Clusters have already all been eaten. I think it is time to make another batch. 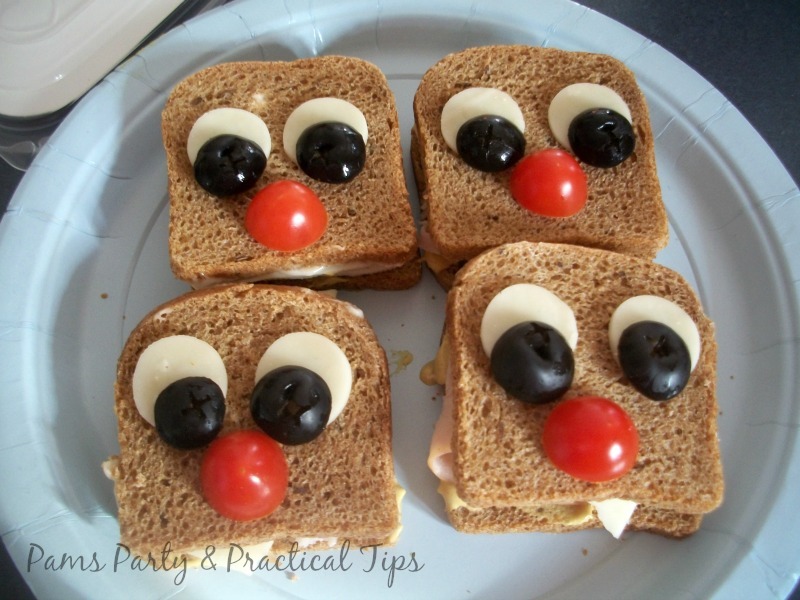 Kyle helped me make these Reindeer Appetizer Sandwiches for a fun and easy lunch. 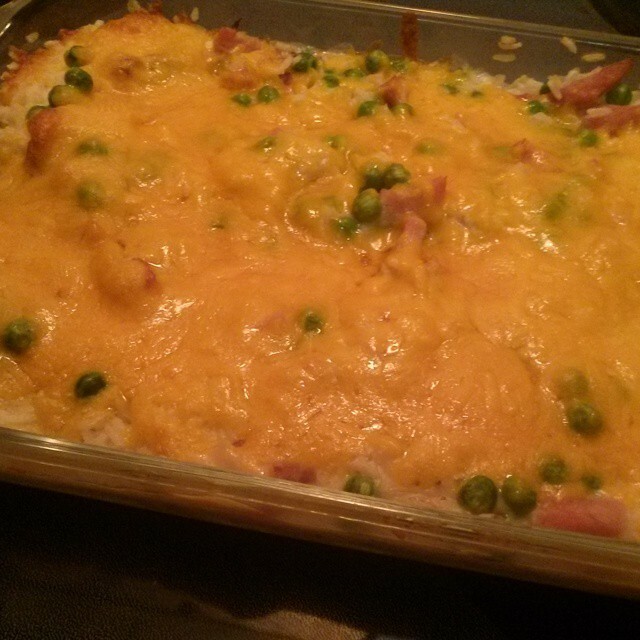 Today over on Instagram I shared how my family loves my Leftover Ham Casserole. The entire thing disappeared in a matter of minutes. I will have to make it again this week. Did you have a chance to see the Dare to Share Features of the Day? 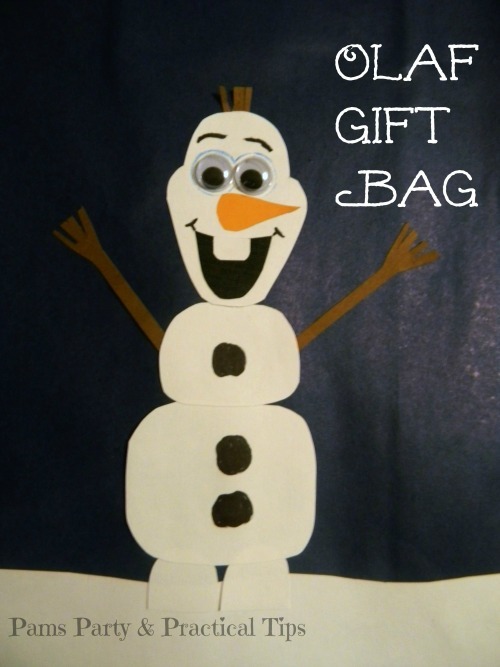 I love this great gift idea by Giggles Galore. I am going to have to make some up for my "deer" friends. 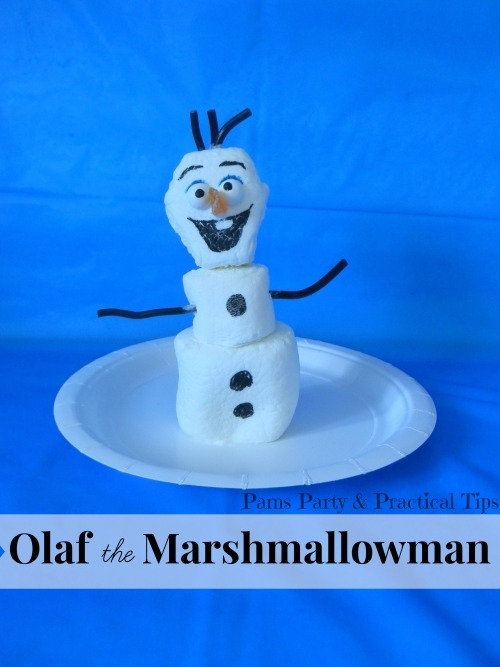 As you may know from many of my past posts, I adore the movie Frozen. 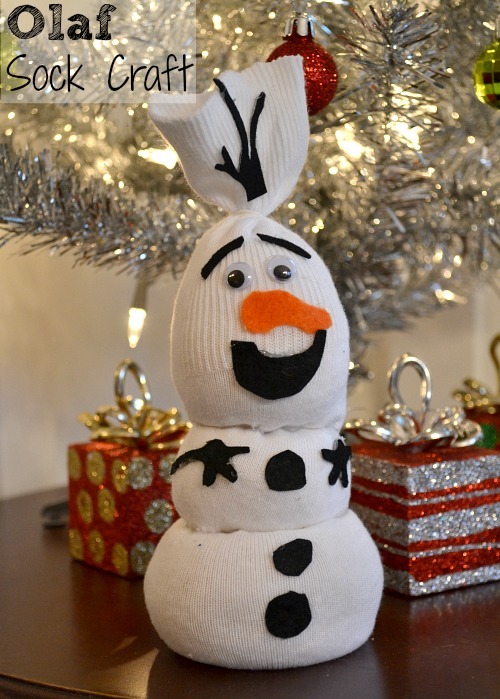 When I saw this cute Olaf Sock Craft by Luv a Bargain I knew it was a keeper. 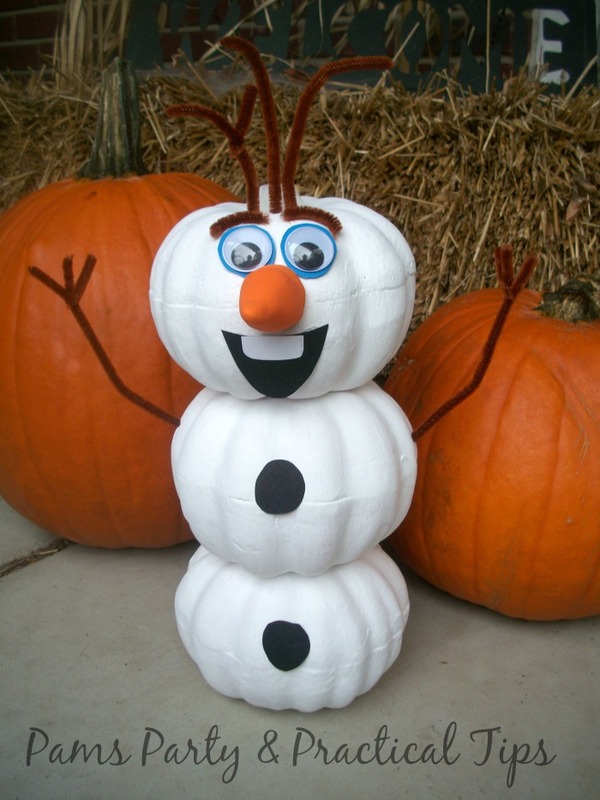 It would make a great craft to make with your kids during holiday break. 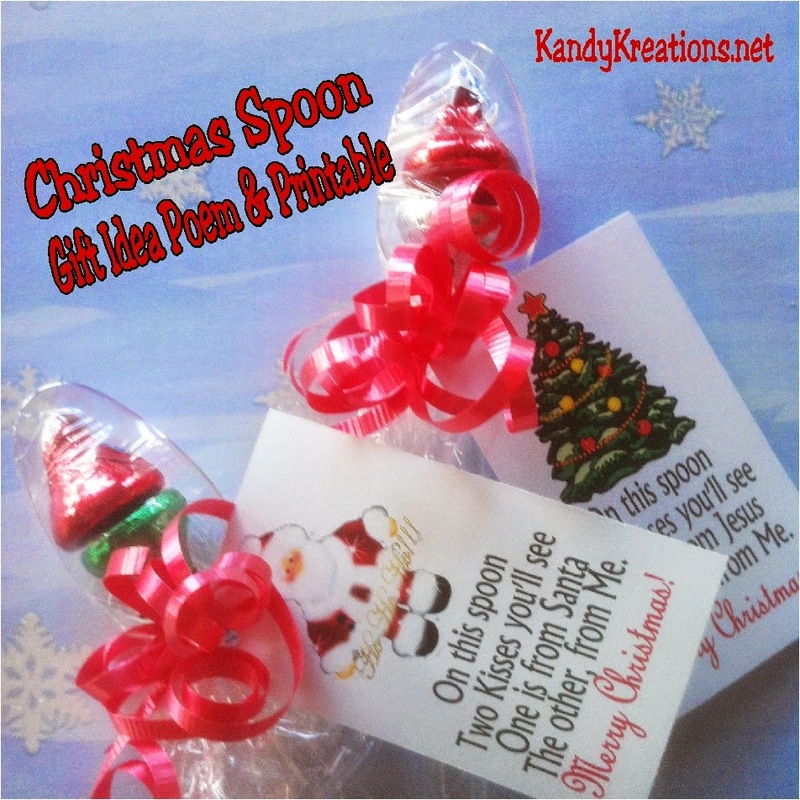 Over on my co-host Kim from Kandy Kreations blog this week, she has lots of great Christmas ideas and printables. Get a jump on next Christmas, and pin them now for when you need them later. Now it is time for this week's party. You are welcome to link up anything that you would like to share. If you are chosen as a Dare to Share Feature of the Day, your post will be promoted on the blog and my social media. When you link up your post will be seen on Pams Party and and Practical Tips and Kandy Kreations. Kim will also be sharing features on her social media, so keep an eye out. There are just a few hours left before Christmas. Do you need a last minute gift idea? I have to admit, I may have been at Target earlier today picking up a few last minute items. I love this idea by Giggles Galore. 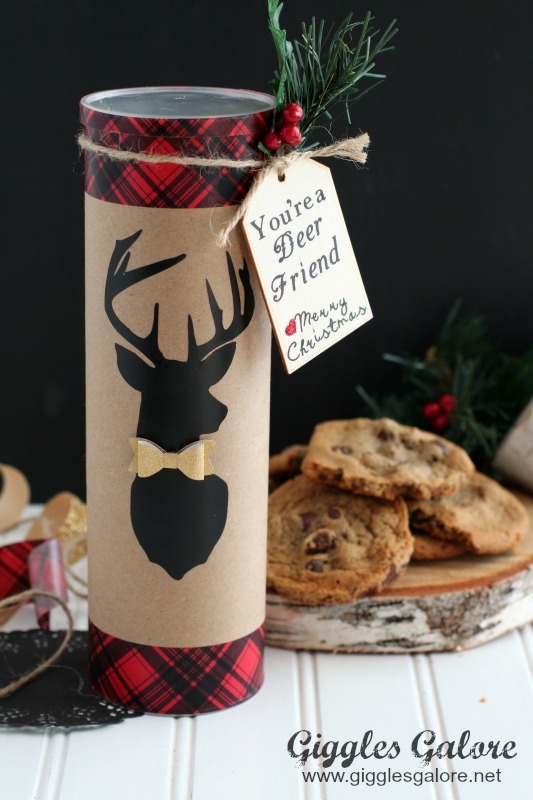 She has a great tutorial on how to decorate a recycled chip can that you can fill with your favorite Christmas cookies. I think I might have to make a few myself to give out later in the week Thank you so much Mariah for linking up this great idea to Dare to Share! Look who is back! It is time for a new installment of Cooking with Kyle. I recently found a loaf of rye bread at our local Aldis. I knew it would be perfect to make into some sort of appetizer for the holiday. 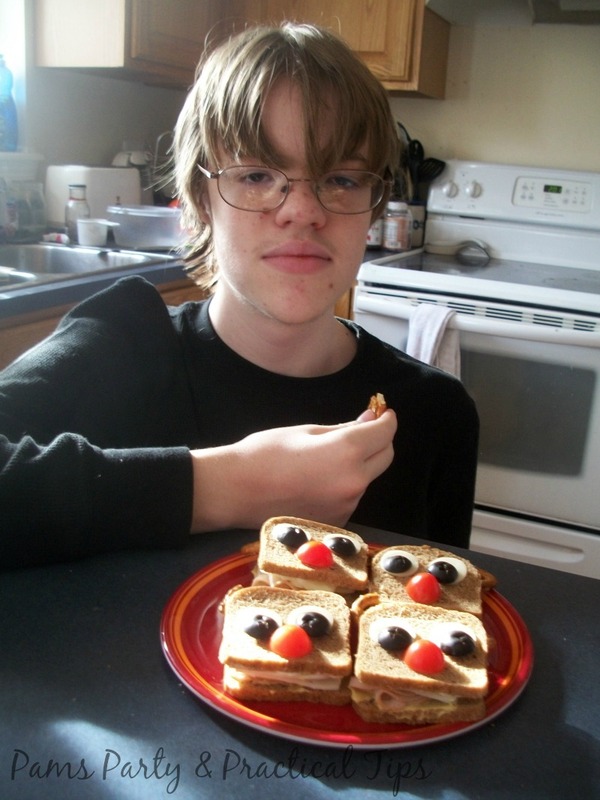 Today when Kyle said he was hungry for lunch, I asked him if he would help me put together a Reindeer themed sandwich. The first thing he did was make the sandwiches. He decided to use turkey, swiss, Miracle Whip and Dijon mustard. It was then time to construct the faces. Using the small circle in my apple slicer/corer, he cut out circles of mozzarella cheese. 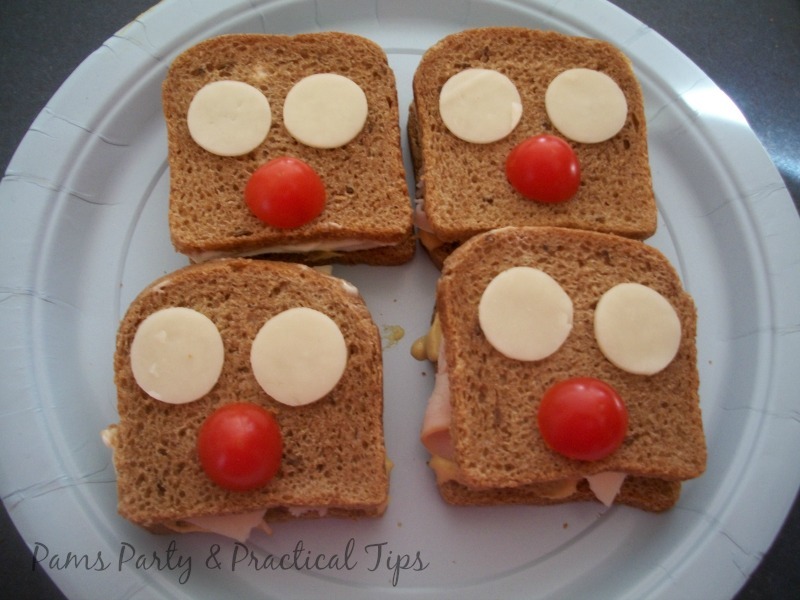 (any white cheese will do) The noses are slices of cherry tomatoes. I helped him brainstorm on what to use for the pupils of the eyes. He thought maybe pepperoni but we were out. He tried to cut circles out of bread, but they did not look right. Even though he is not a fan of black olives, we both agreed they looked the best. I happen to like black olives so I was totally okay with his choice. The antlers are on the small side, because I only had mini pretzels on hand. 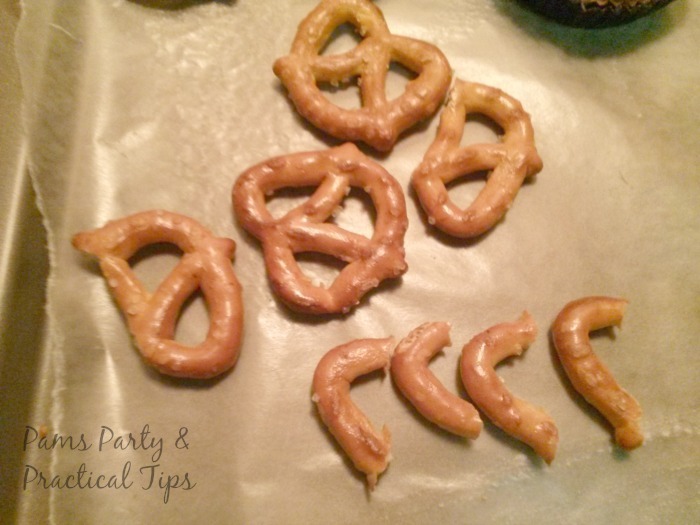 We would use regular size pretzels the next time we make them. Theses were fun to make, and tasted great too. Super simple candy clusters are a quick and easy treat that are great when you need a gift for a neighbor, bus driver, or hostess gift. 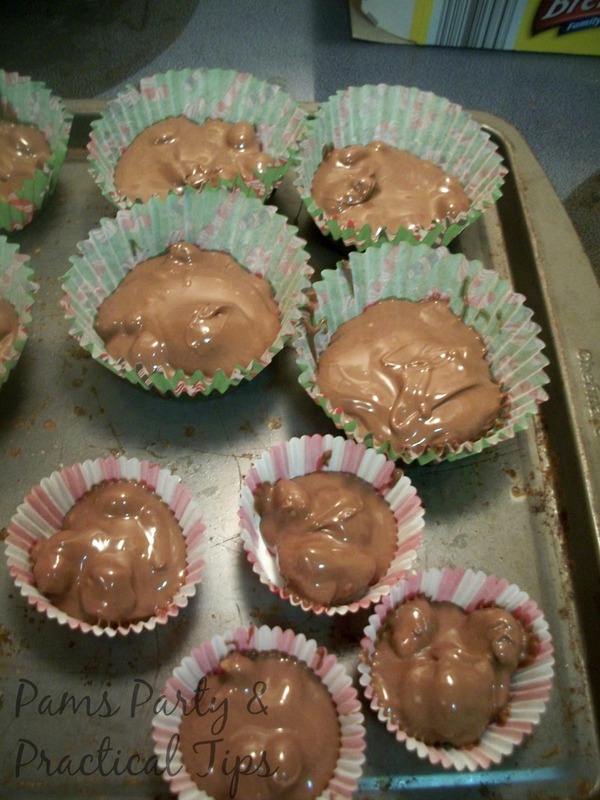 They are also perfect for when you have a chocolate craving, and just have a piece of chocolate. You will have to excuse the lighting in this pictures. I was making my candy clusters at nig and no matter what I try, I just do not have good lighting in the kitchen. I personally prefer to use milk chocolate chocolate chips for my candy, but you can use another kind if you would like something else. Using the 30 second method to melt my chocolate chips, I had the entire bag melted in just over a minute. Because the chocolate chips are so small, they melt very quickly. Another great thing about this candy recipe, is you can customize it with whatever ingredients you prefer to add. In this batch, I added peanuts and dried cranberries. 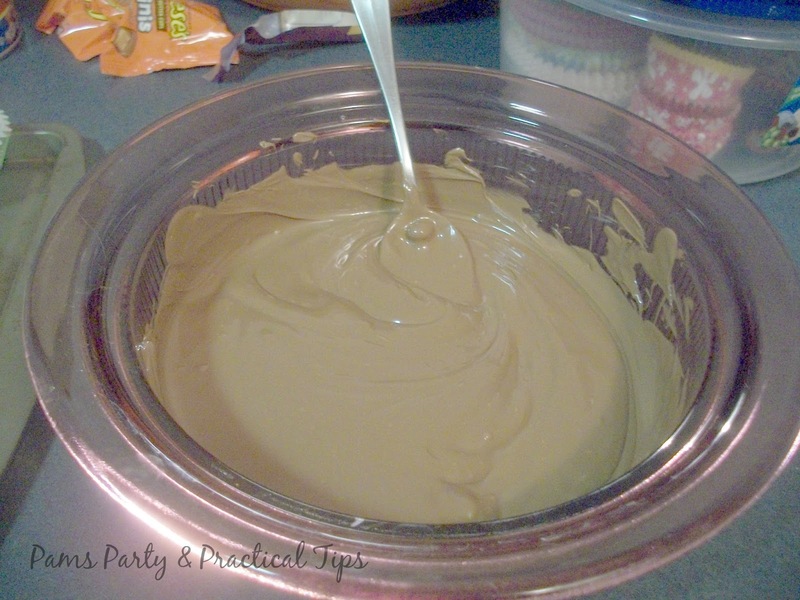 Once the ingredients are added, stir the mixture until everything is coated in chocolate. 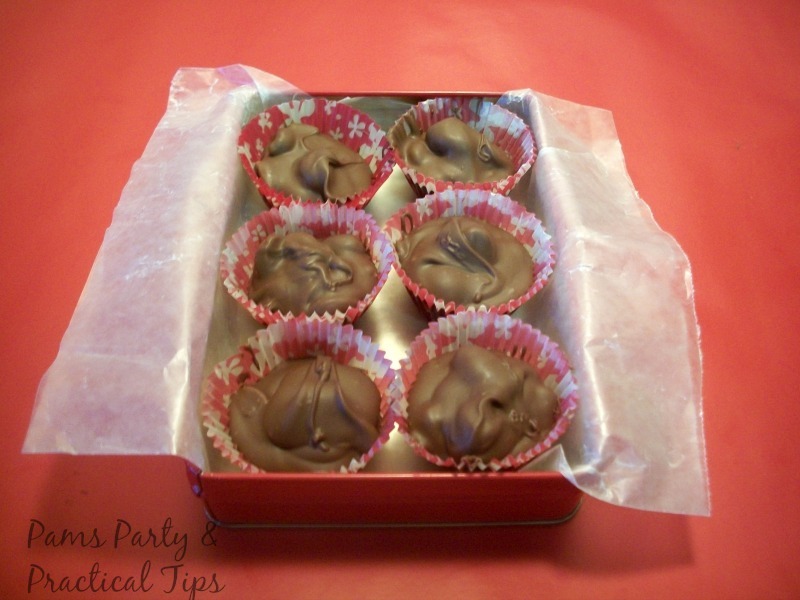 Place cupcake liners on a cookie sheet and then add chocolate with a spoon. I used a mixture of regular and mini size liners. 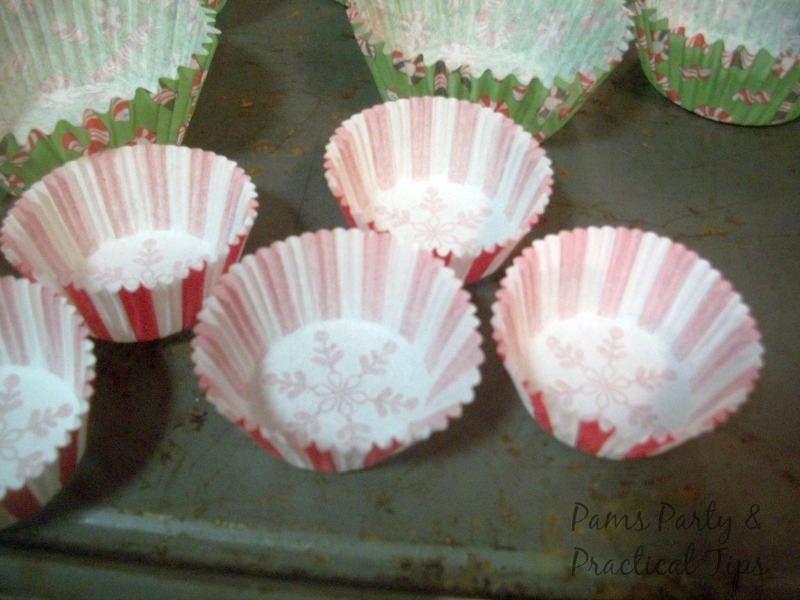 CANDY MAKING TIP: Mini cupcake liners are the perfect size for candy pieces, and great for portion control. Once the liners are filled, place the cookie sheet in the refrigerator for a bit so the chocolate will set. Once chilled, place the candies in a tin like in the first picture, and you have a gift that took just minutes to make. I made these yesterday at our house, and most of them have already disappeared. because the Dare to Share party was now here! Seriously... how did this month disappear?! Can Christmas really be only a few days away? I have most of my presents, but nothing is wrapped yet. This weekend we will be making our cookies and treats. We are really looking forward to being on holiday break for the next two weeks. During this time we do not have any outside activities, and can really enjoy the the season. I had several projects planned for this week, but due to our hectic schedule I just did not have the time. I will be sharing several of them in these next few days leading up to Christmas. 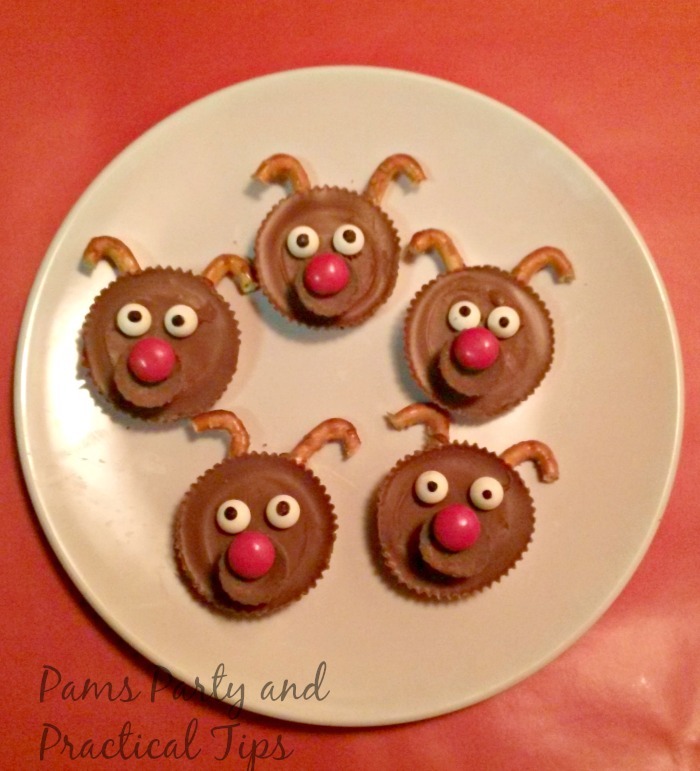 One project I did share are these Reeses Cup Reindeer. I bought the Reeses Cups on sale after Halloween, and hid them from the kids so I could use them for the holidays. They still managed to find them and eat about half the bag. I know these reindeer will not last very long with my kids. One tradition in our house is to make a gingerbread house every year. 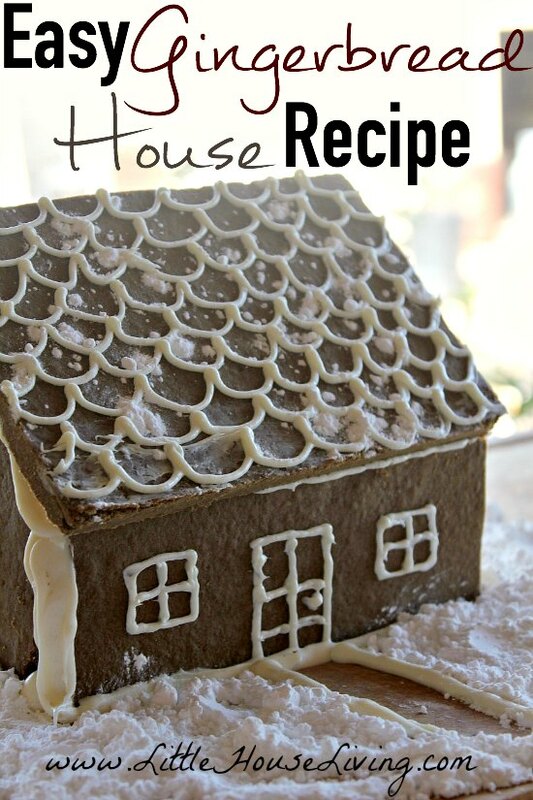 While we normally use a kit, this DIY Gingerbread House recipe from over at Little House Living looks like a good one to try if you like to bake from scratch. Joy from Yesterfood had a special Christmas tradition in her house.. Every Christmas her mom made special fruit bread. She shared a recipe, and tips on how to make that gorgeous braided bread. My co host Kim from Kandy Kreations has a lot of great holiday posts this week over at her blog. 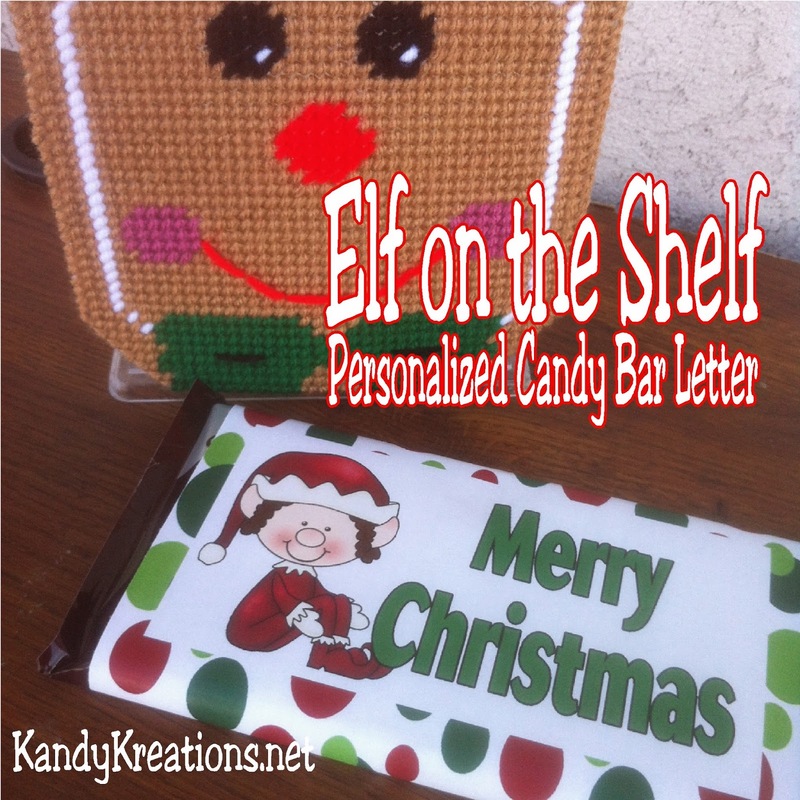 My favorite is this Elf on the Shelf personalized candy bar letter. Be sure to stop over and check it out. 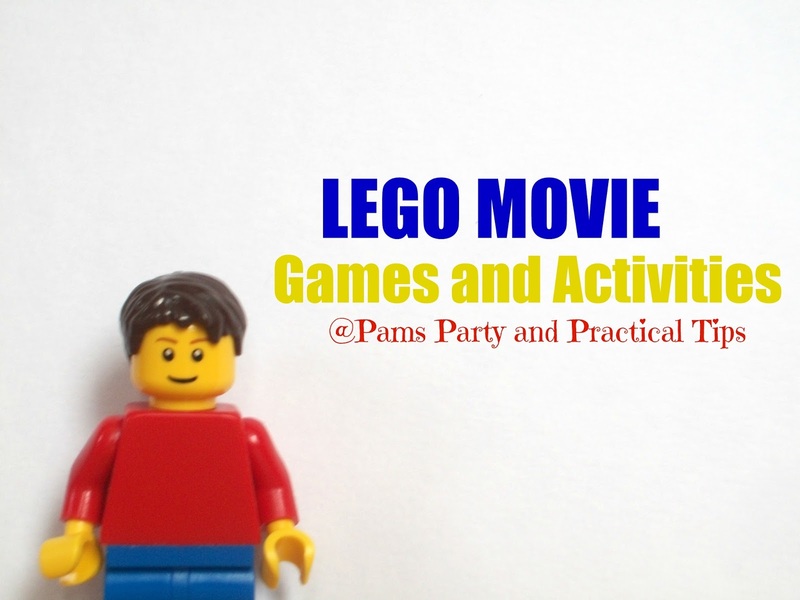 Now it is time for this week's party.. You can link up anything that you would like to share. If you are chosen as a Dare to Share Feature of the day, your post will be featured on the blog and my social media. Kim also has shares features from the party on her social media as well. treat that would be great to take along with you. You will need two sizes of Reeses Peanut Butter Cups.. I used the snack size for the head, and the mini for the nose. I bought them after Halloween, and then hid them from the kids. You will also need candy eyes, red M & Ms, pretzels, and either a few chocolate chips or Hershey Kisses. 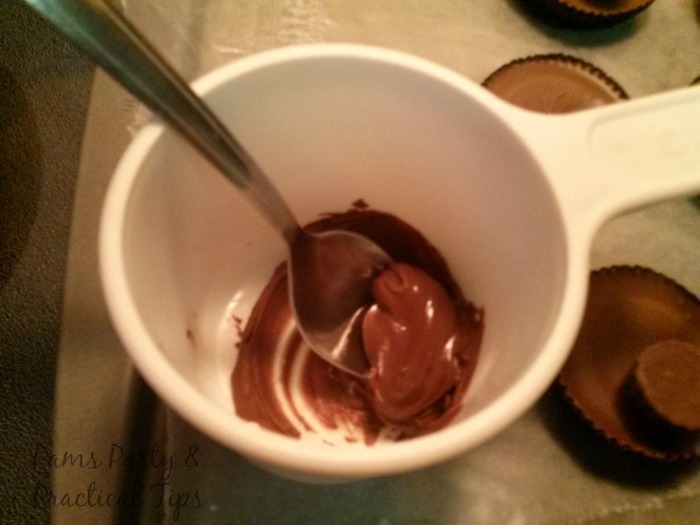 The first thing you do is melt the chocolate in small cup. I put four kisses in the microwave for 20 seconds. The chocolate was not quite melted enough, so I did it for 20 seconds more. This will be used as the chocolate glue. 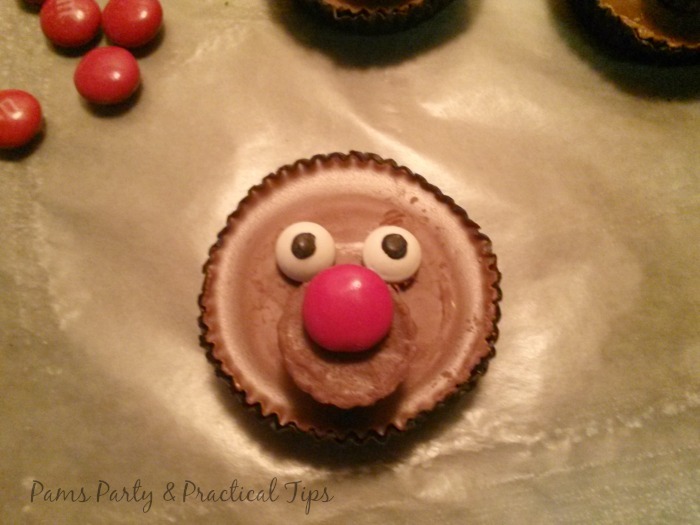 Using the chocolate glue, I attached a mini Reeses Cup for the snout, a red M & M for the nose, and candy eyes. I left the wrapper on the candy until a later step. The reason why I left the wrapper on is it keeps your fingers clean while handling the Reeses Cup. I pulled the wrapper down on the top of the reindeer, and made two holes with a toothpick. That is where the pretzel antler will go. Break the pretzels into pieces, until you get an antler shape you like. I went with a more simple shape, that kind of looks like a candy cane. I dipped the pretzel piece into the chocolate glue, and then attached them in the pre-made antler holes. 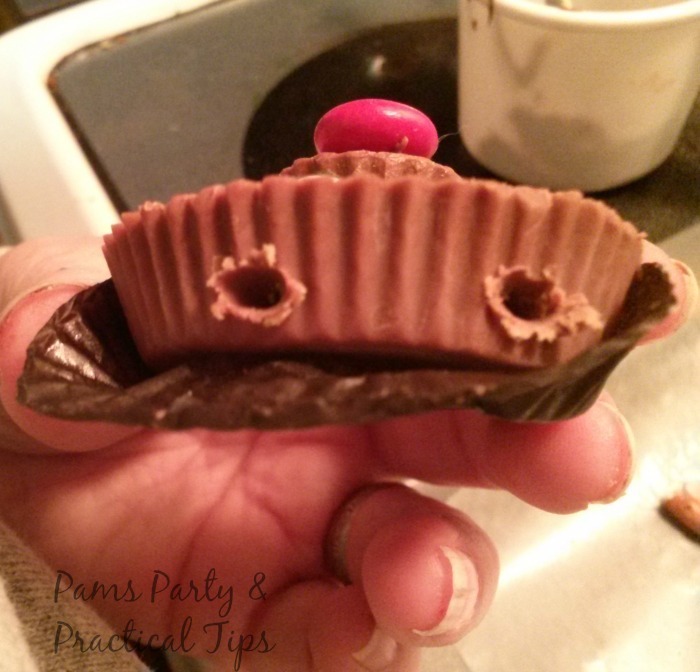 If you decide not to make the holes, that is okay too, but the Reeses cup will change shape if pushed too hard. If you find that they are starting to melt a little bit with handling, put them in the fridge and chill them for a bit. Once I had the reindeer finished, I removed the wrapper, and put them on a serving plate. I know these are going to disappear fast in my house. Do you like to make gingerbread houses? I make one with my kids every year, but we usually use a kit. Little House Living shared a recipe this week for a simple and gluten free version of the Christmas tradition. 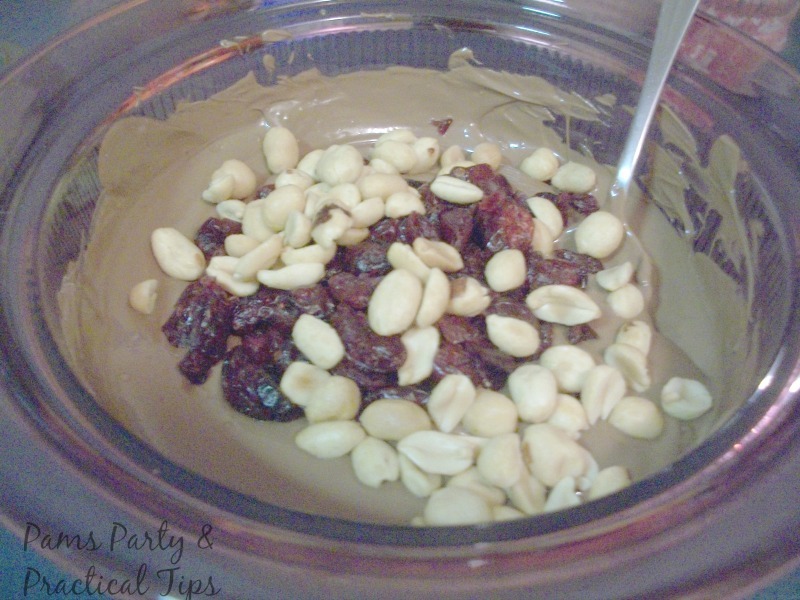 If you would like to try this homemade version be sure to stop over to Little House Living for the full recipe and tutorial. 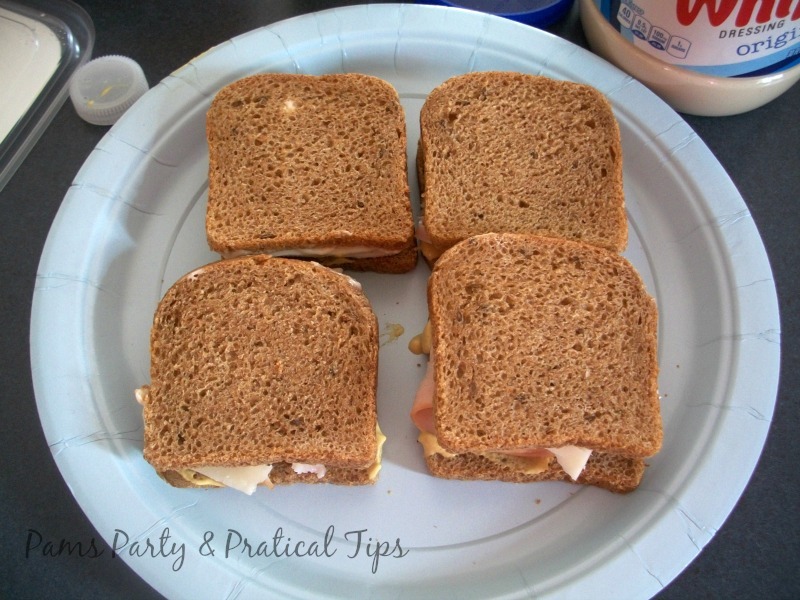 Thank you so much Elise and Merrisa for linking up this great recipe to Dare to Share! This month is flying by. Are you ready for Christmas? Even if you are not quite ready for the holiday, it is time to Dare to Share! Since I was not able to share at the last party due to the craft show, this week I am doing a double feature. Earlier in the month I participated in Blogger Christmas Series with several of my blogging friends. 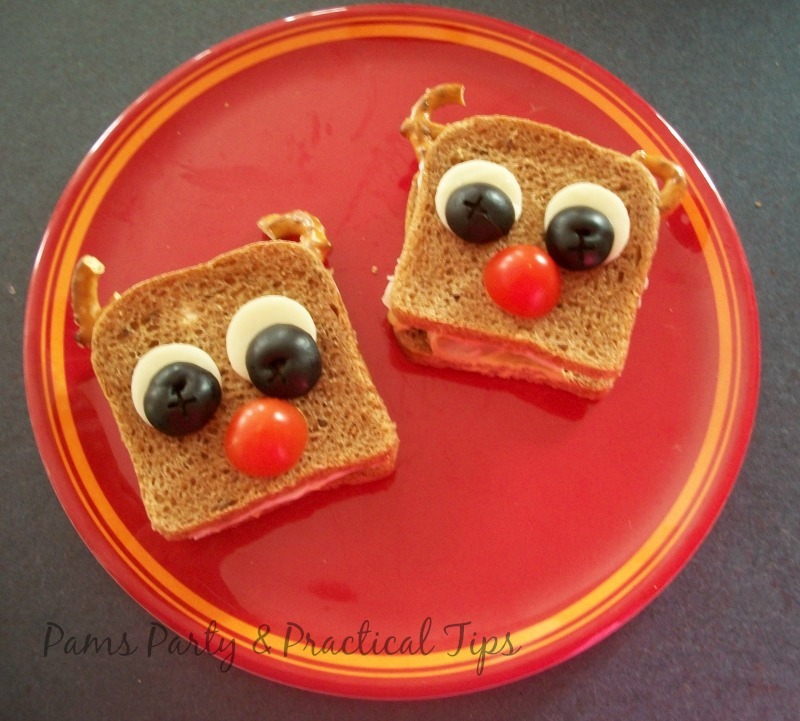 We all shared a Christmas post, where you can find many great ideas for Christmas. After the craft show I shared the many new items that have been added to our blog shop. 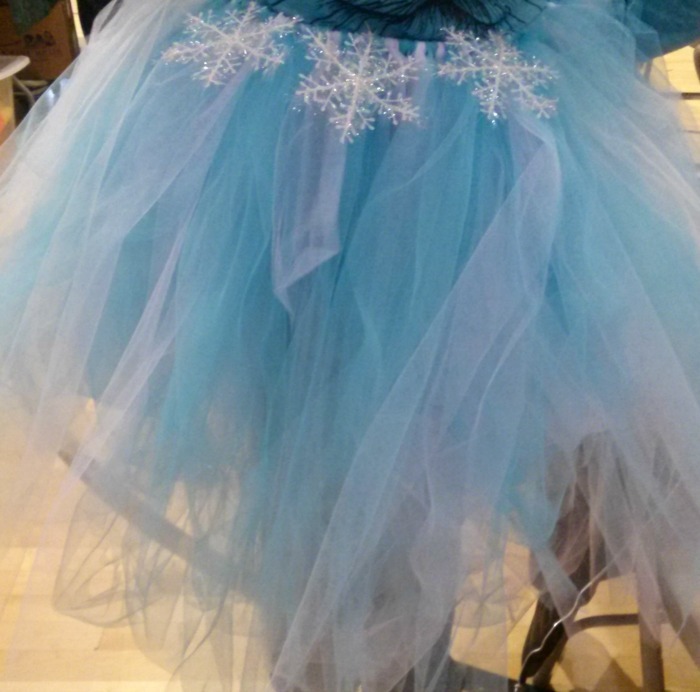 You can read more about our Elsa Tutu, the craft show, and other items here. 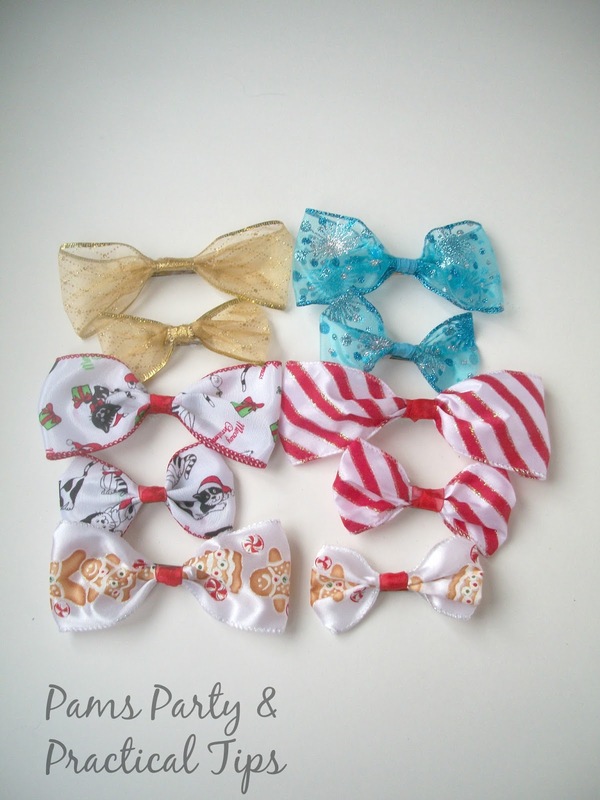 Yesterday I added even more shop items such as these hair bows my daughter made. There were also some great features of the day you might have missed. 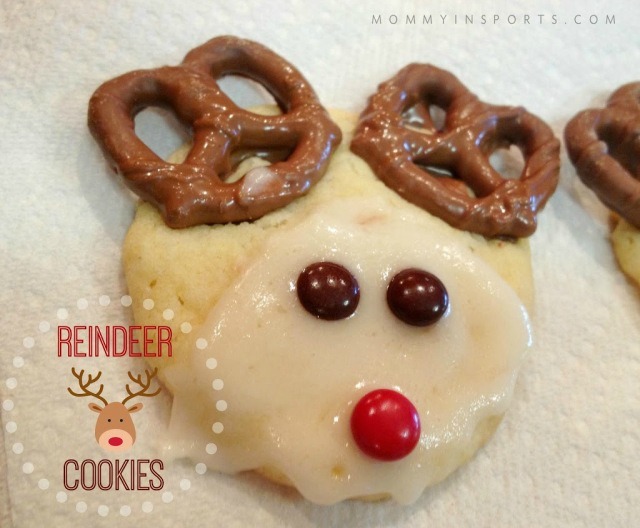 These Reindeer Cookies by Mommy in Sports would be a great treat to make with your kids. Do you still have some decorating to do? 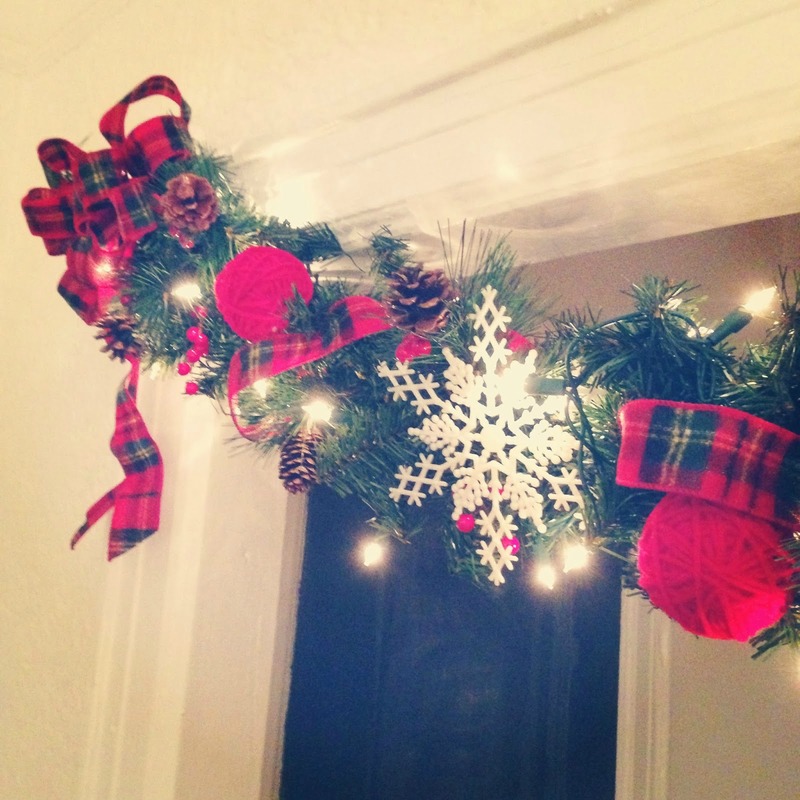 The Crafty Lumberjacks shared how they made this pretty DIY Christmas Garland. 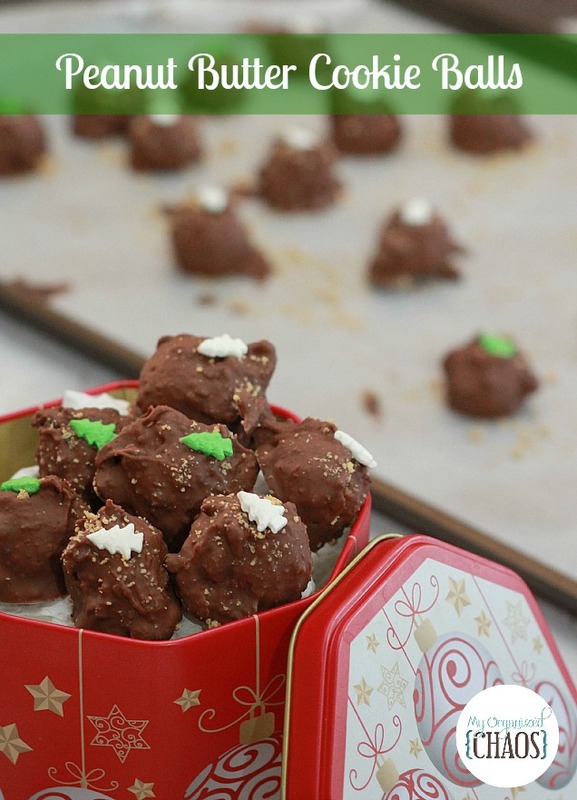 Another great treat to add to your Christmas cookie list are these Peanut Butter Cookie Balls by My Organized Chaos. 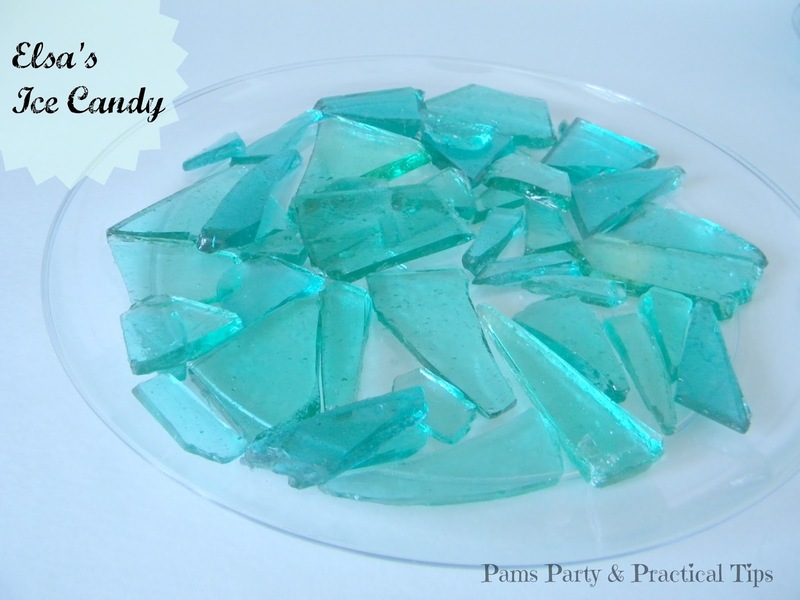 Be sure to stop over to Kim's blog Kandy Kreations. 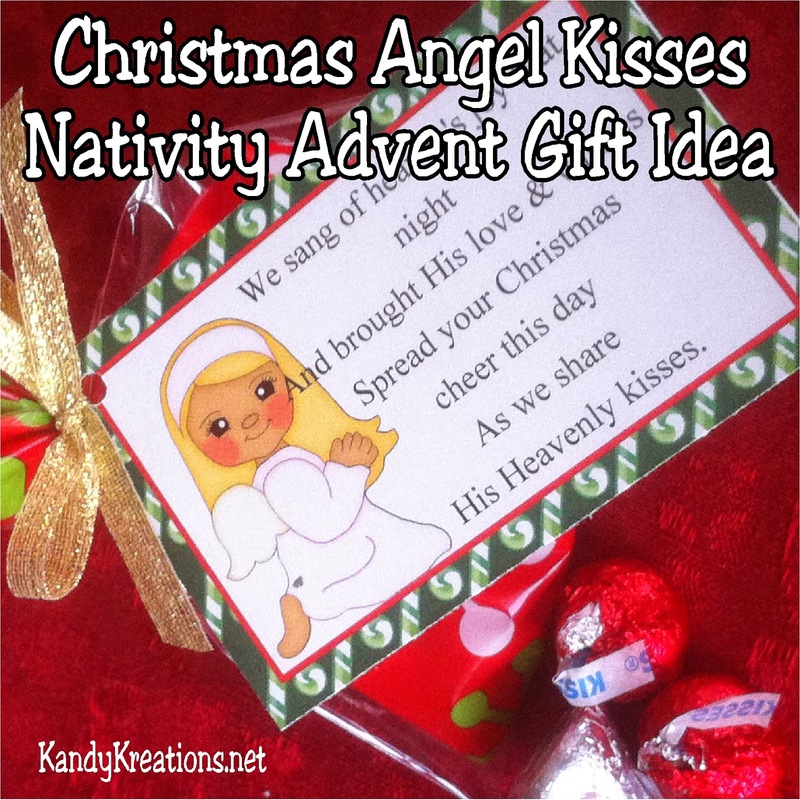 This week she has some great printables, and advent ideas. Now it is time for this week's party. You are welcome to link up anything that you would like to share. If you are chosen as a Dare to Share Feature of the day, your post will be promoted on the blog and my social media. You could also be featured by my co-host Kim and shared on her social media.